Key Difference: Kilogram is purely a unit of mass measurement. 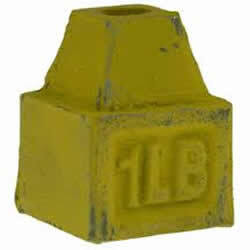 ‘lbs’ is the abbreviation and the official notion used to indicate pounds. 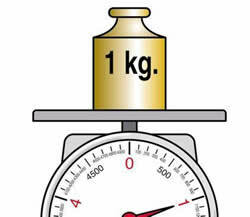 One kilo of mass is equal to 2.2 lbs, which basically means that a kilogram (kg) is 2.2 times heavier than a pound (lbs). One kilogram is the standard unit of measurement of weight. A kilogram weighs 9.81 Newtons (N) or 2.21 pounds (lb). The kilogram is not the weight of a person,and at the same time it is to be measured as a unit of mass. name pound is a Germanic adaptation of the Latin phrase ‘libra pondo’ meaning “a pound weight.” The term ‘libra’ means “weight” or “balance” and hence is commonly represented by a scale in astrology. The Roman libra roughly corresponds to 12 ounces, different from what it is today where one pound translates to 16 ounces. Dictionary.com defines Kilo as "a unit of mass equal to 1000 grams: the base SI unit of mass, equal to the mass of the international prototype of the kilogram".